The first episode of the revival was shown during the New York Comic-Con and got a good response from fans. This looks to be a good sign for the show before it even gets out of the gate. Of course that’s just a sliver of the potential audience The X-Files could get given the fan base that has stuck around and grew years after the May 2002 series finale. Whether it’s an extension into a safe thirteen episode season or into a larger twenty-plus episode season, another season and a season extension will depend on strong numbers. There’s plenty of time between and now and the premiere to refresh and catch up on the nine seasons—I’m in season three of a third viewing of the series—and movies from fans and newcomers. There’s also plenty of time for Fox to hype the event. From some reviews of the episode the series had been update quite a bit from what brought The X-Files to the dance before. While the conspiracy theory base of alien abductions, unexplained phenomena and the government that was a staple of Fox series and specials during the 90s are still present, all of this was modernized. 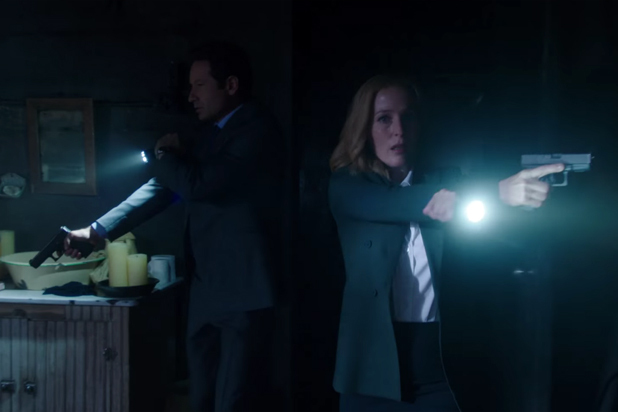 It’s a good balance for X-Files diehards and newcomers to the canon. The six episode event will air January 24, 2016.